If you waited until today for your holiday travel, you may run into some unwelcome weather. The first winter weather advisory of the season is in effect until 11 a.m. for Frederick County, Md., and counties further north and west. That means pockets of freezing rain could cause travel difficulties. Prepare for slippery roads and limited visibility while driving. Less than a tenth of an inch of ice accumulation is expected in the areas under the advisory, and some sleet can be expected at the onset of precipitation. The temperature was expected to be around 30 degrees overnight but climb back above freezing by 11 a.m.
Thanksgiving Day closer to D.C. looks to be cloudy and seasonably cool with highs near 50. Some light rain will fall Thursday morning -- mostly to the north -- with sprinkles tapering off around noon. 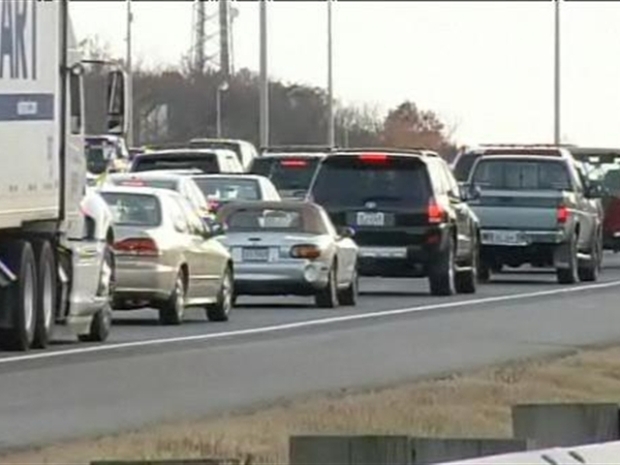 Jane Watrel reports on the Thanksgiving eve gridlock. Virginia Department of Transportation road crews have sprayed chemicals on the Beltway, I-66, the Springfield Interchange, I -95 and ramps to the Wilson Bridge in anticipation of possibly icy weather and sleet Thursday. Most of the area should remain dry Thursday afternoon, according to NBC Washington Chief Meteorologist Doug Kammerer. But a storm likely will move in Thursday night and into Friday as a strong cold front could give us some rain. Then wind and very cold temperatures can be expected overnight Friday and into Saturday. For a look at the traffic issues you'll face on area roads, click here. 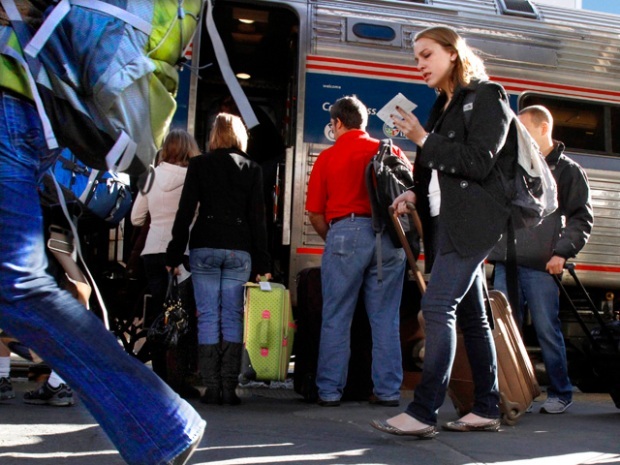 It's the busiest day of the year for Amtrak.